This special interview with Prime Minister Ranil Wickremesinghe centres around the forthcoming Local Government Elections and the current political situation in the country. Was there transparency like now? Q It’s just a few days before the elections. Shall we start on that topic? What will happen at the elections, Mr Prime Minister? Now the election heat is on. Casting of votes would be in the region of 50 to 60%. Even last time it was around 50%. The candidate who can muster the largest number of supporters to cast their votes would win. Judging from the present trend I can say that the UNP is ahead of all other parties. All signs indicate that we will secure more power. 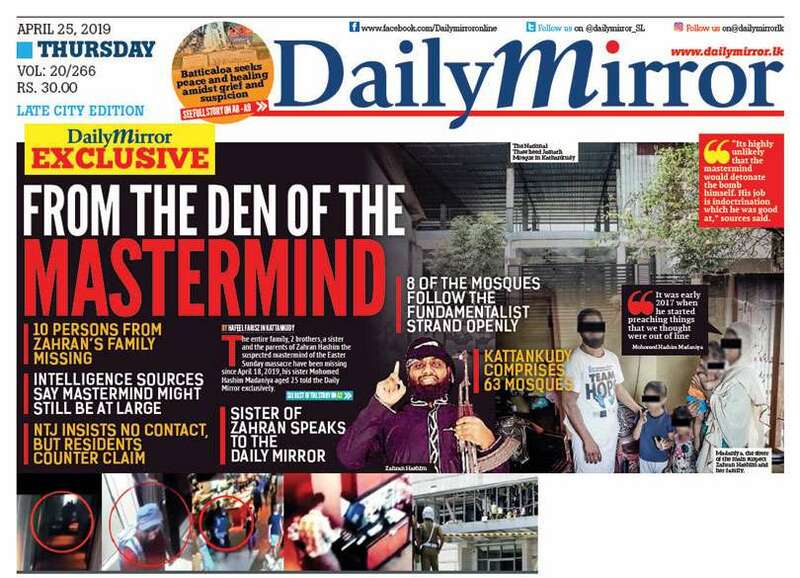 Q Though you say this, there are many serious allegations levelled at the UNP presently. Do you think it will be easy? Despite all these there is every possibility that we will gain power. This election is held under a new system. It is the first time an election is held under that system. During this election one needs to observe what the result would be under the Electoral and Preferential System. Every party is faced with a problem of independent groups contesting in electorates where the recognized parties’ nomination lists were rejected. The more you attempt to limit their influence, we gain. Q Some observe that the split in the SLFP will favour the UNP. Are you also anticipating this? Their votes would be split among the two groups. At the same time there will be votes that would not be cast for these two groups. There is a keen competition among these two groups. We aren’t hoping to receive these votes as a result of the split. The UNP is striving to win a majority stake.These two groups were together during the last election, but we obtained more votes. It is a temporary manifestation that the split in the SLFP is beneficial to the UNP. Our aim is to keep on increasing our votes at every election. Q Despite you saying that the UNP is increasing its vote base at every election, some are expressing the view that with the Central Bank Bond Scam the ‘Elephant’ has lost its balance and fallen flat.Your comments? The alleged Central Bank Bond Scam has been discussed over the past two years. It is I who started the investigations regarding this allegation. I handed over the matter to the Parliament and when it was being probed, an opposition MP was appointed to head the COPE. When they issued their report it was sent to the Attorney General. They had recommended that a different machinery be set up to investigate into Perpetual Treasuries. When the President appointed a commission to look into this matter we agreed. I also gave evidence before the commission. We displayed transparency. The Attorney General informed that he is acting on the recommendations of the commission. We’ve extended our fullest cooperation during investigations. We never made any unnecessary intervention in this matter. The Commission had noted that Perpetual Treasuries had earned an undue profits while a loss of Rs 600 million had been incurred. The total figure estimated by them is Rs 9 Billion. As a result of our actions, funds worth Rs 12 Billion in the account of Perpetual Treasuries have been retained. The loss could be recovered by taking action in keeping with the recommendations of the commission. Q Despite what you say, it is apparent that it isn’t easy to get rid of the black mark on the UNP. Your comments? We have never received a black mark. During this issue we displayed transparency. If we did not act in that manner there would have been many more issues. Despite having power we didn’t attempt to hush up the matter. You must well remember how the former government acted during similar situations. Was there transparency like now? The black mark you refer to is the creation of the media. The media is bent on attacking the UNP. Q What were your reasons for appointing Arjuna Mahendran as the Governor of the Central Bank. He was appointed as he satisfied the requirements for the post. But with the surfacing of this incident we took necessary action. These actions are now duly proceeding in a transparent manner. If any irregularities had taken place anywhere the whole country could now what happened. We will never allow room for fraud and corruption, nor support such activities. 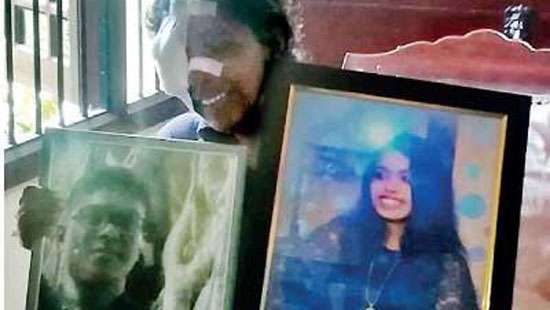 Q Are you attempting to put the entire blame on Ravi Karunanayake? The Thilak Marapona Committee had recommended that Ravi Karunanayake be stripped of his position of Deputy Leader of the party. There is no such thing. No UNP member is connected to the alleged Bond Scam and none of them are responsible. We accept the commission report. Former Minister Karunanayake’s issue is connected with the evidence given by him before the Commission. The commission has recommended that a final decision has to be taken by the Attorney General, Commission to Investigate Bribery or Corruption. We await its decision. Injustice won’t be caused to anyone. Everyone is equal before the law and necessary steps would be taken as required. Q Even for President Maithripala Sirisena the best trump card on the election platforms had been the Bond Scam. Prior to January 08th 2015 you all were vociferous in slating the Rajapaksas as thieves, but now it appears that the talk on frauds committed by the Rajapaksas has been set aside. What has happened to the investigations now? We have traced a number of acts of fraud committed during the Mahinda Rajapaksa era. The President speaks about them during election meetings. He also speaks about the Bond Scam. The issue is why the media always highlights what he says about the Bond Scam and not what he says about the Rajapaksas. Even the President asked me about this. I don’t know why they do it. You should know better than me what the reasons are. The media isn’t depicting the correct position. We wonder whether the media is attempting to portray that there is a big dispute between me and the President and also whether they are not taking the maximum out of the freedom given to them. Q Do you infer that President Maithripala Sirisena, whom you and your group installed in office after making many sacrifices and fighting a severe battle, is not criticising the UNP? Or is it mere deception? This is a common thing that’s happening on election platforms. They criticize us and we criticize them. The two parties joined to rule the country and not to fight during elections. During an election we must safeguard the identity of our party. This happens in other countries as well. They come together to govern, but fight elections separately. Both parties believe in this type of strategy. This is no deception. Q President Sirisena invited the Joint Opposition to join him in forming a SLFP Government and requested them to visit his house to have further discussions. If that happens how will it affect the UNP? 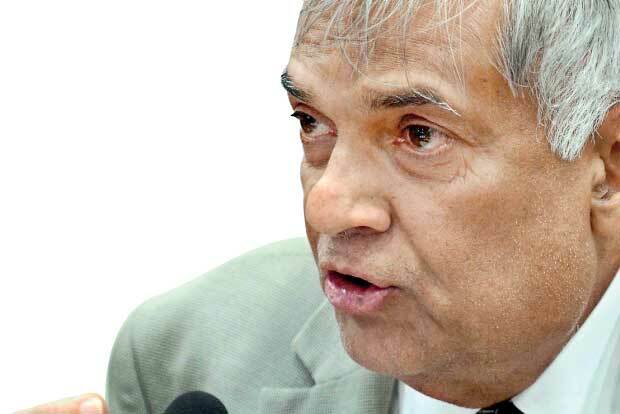 Has the President had enough being with the UNP and governing the country? This Government will remain as it is. Nothing will happen to it. We will wait and see whether the invited groups are coming. We may have to appoint them also as Ministers. There is no alternative. Anyway I read (In the newspaper) that Mahinda Rajapaksa isn’t willing to come. Q Minister Lakshman Kiriella had said that regardless of whether anyone wins or loses, allocations will be made only to those local bodies which are controlled by the UNP. It’s the Prime Minister who allocates funds. Are things going to take place in the manner in which Kiriella has implied? If it’s so it’s going to be a questionable issue. Your response? We have several projects. Funds are allocated accordingly. Some don’t accept them. We will work with those who accept these allocations. If we secure power the allocation of funds would be done much easily. Other than this no one would be left out. Even provincial councils had been allocated money. If there are alternate good proposals, we could consider them as well. Q Former President Mahinda Rajapaksa asks where the investors are as promised. He says that some investors have withdrawn from these projects according to information he has received. The highest amount of investments came in 2017. We received 1 ½ Billion. We know how investors were treated during the Rajapaksa Government. The investors had to meet the President or a Minister to commence work. Now it is through the Board of Investments that they commence work. None of us demand commissions. We never ask arriving investors to meet us first. This was the habit during the Rajapaksa Government. Q There are many who are giving serious thought to what the future holds when the term of this Government concludes. There are many who are making forecasts. Mr. Prime Minister what will actually happen? We’re moving ahead to obtain majority power at the Parliamentary Elections. After that we will form a government by ourselves. Q Are you going to come forward as a candidate at the next Presidential elections? Our party, TNA and the JVP agreed before the Presidential Elections to abolish the Executive Presidency and work for a power sharing system without damaging the Unitary state concept. We are rooted firmly on that stand. Other parties aren’t taking the same stand. Those in the ‘Pohottuwa’ hadn’t intimated their standing on this matter, while the SLFP says they are against the abolition of the Executive Presidency. We hope to discuss further in this regard. Our first attempt is to establish a Government answerable to the Parliament and focus on what powers should be given to the President. We would agree in due course about the most suitable decision we should arrive at. Q The opposition always claims that the manner in which you accepted the post of Premier was unacceptable and that you had no moral right to accept this post. Your comments? In our Election Manifesto we mentioned that I would become the Prime Minister and the people voted for us knowing this well. During the presidential elections we wanted to dissolve Parliament. No one expected Maithripala Sirisena to appoint someone from the alliance as the Prime Minister after he assumed duties as president. That can never happen. Q While President Sirisena keeps taking swipes at the UNP and blaming it on election platforms how is it that you continue to keep your balance and stay calm? He says what he has to say and I say what I have to say. Q Are the UNP backbenchers criticising the President with your knowledge? We have told them not to engage in public criticism. Some are responding to matters raised by the President. We advise them not to criticise because though we have split during the elections this Government has to continue. We have admonished those who exceed the limits of criticism. Q It was believed that the UNP has veterans in the field of Economics, but recently the President announced that Economic development during the past three years under the UNP has failed and therefore he intends taking it over.Your comments? These comments weren’t aimed at frustrating us. Only the UNP has the capability to deal with economics. The Economy of the country has advanced. The president says that the progress is not sufficient. I too discussed this matter with him. We are ready to discuss this matter further at the National Economic Council. It is not an issue for us. Q Those UNP party members who slave for the progress of the party say that they have been overlooked and it is only a dream for them to expect state employment.What do have to say to this? We are continuing to assist everybody, but there are priorities. We are aware that we could not provide them all with jobs. There are jobs in the state sector and our aim is to increase the intake of labour by the private sector. Q The artistes and civil society members who were in the forefront of setting up this Government are now frustrated about the regime because of your lacklustre attitude towards arts and culture. There were a large number of Artistes and those involved in cultural activities. They wanted a free country. We have given it. We have directed our attention to all cultural activities. The understanding we built up with them is still there. The activities centred around the ‘Culture Hub’ based in Colombo are continuing and we are now in search of allocations. 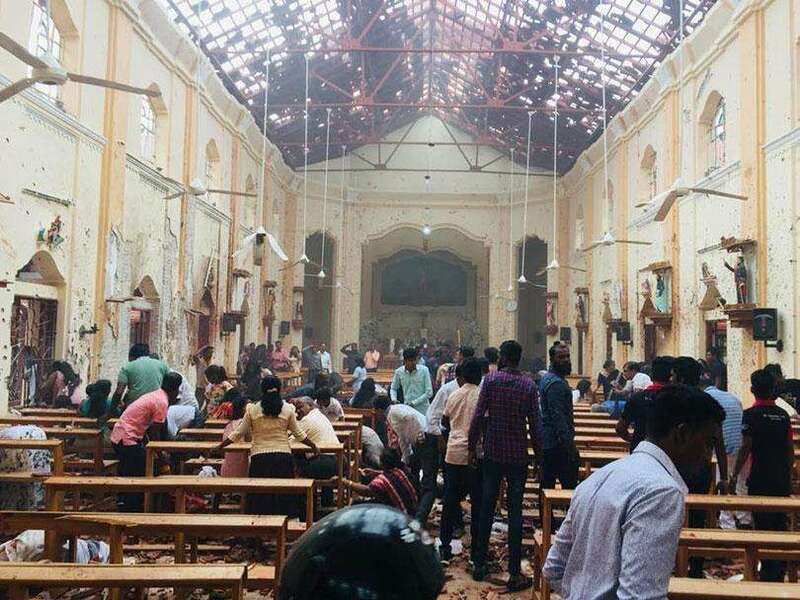 By this no Sri Lankan cultural activity will be threatened. We continue to support our traditional cultural activities. In other countries these activities are highly patronized by the private sector. Q Are you content with the attention given by you to the education and health sectors? There are many changes envisaged in the field of education. Earlier most of it was highly politicized. Now there are ministers who are well informed and keen on bringing new proposals. It will take about three to four years to realize the fruits of these projects. Q People believe that the UNP doesn’t gain publicity despite what it is doing. Your response? We have that defect and we accept it. The individual Ministries should take the responsibility. Our attention has been drawn towards this and action is been taken to rectify it. Q Do you browse the Face Book and other Social Media? Yes when ever time permits. I remain in the correct position in every situation. There is no offence in dancing a bit during a party! Q What are your future ambitions as the Leader of the UNP ? Before we think of the future we should deal with the present situation. It’s now only that the second generation of leaders is being formed. They will secure more responsibility in the party in due course. A capable person would emerge as the leader. Patience and experience are necessary leadership qualities. Q Are you frustrated about the fact that you were Prime Minister on four occasions, but never the President? No nothing of that sort. Every time I became Prime Minister I have performed well.